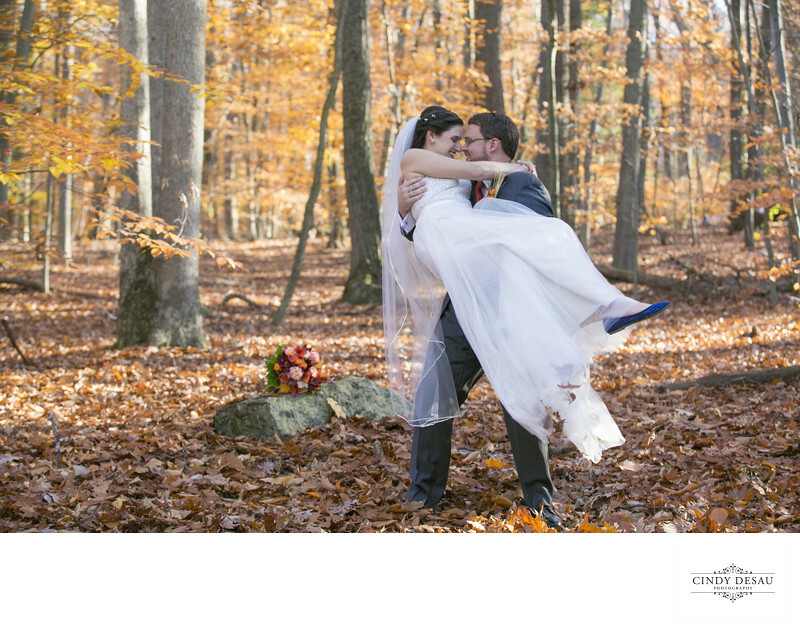 This photograph shows a groom carrying his bride through a blanket of fall leaves in New Hope, Pa. I found a perfect flat rock on which to place her bouquet, and once I set the scene, I looked for a nice moment to capture. Many of my couples like to incorporate nature in their wedding day pictures.